Recent report shows that only 22% of companies are content with their current ecommerce conversion rate. That means that there’s always room for improvement for those who belong to the 78% unsatisfied businesses. As the matter of fact, eCommerce is constantly developing and in order to be the best player in your industry and stand out from the crowded eCommerce market, you must do the same. 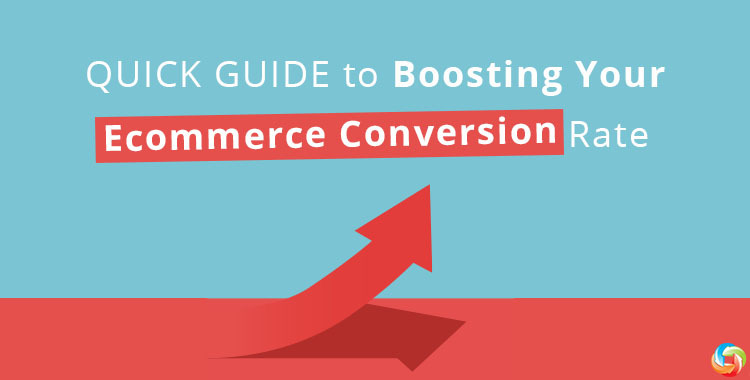 So, what can you do to boost eCommerce conversion rate and bring your business to the next level and? Let’s find out! There is no doubt that the customers want to see what they are getting. To attract more attention to your e-store, the images should be compelling, zoomable and shown from different angles. The conversions of products with pictures are up to 30-40% higher than of the items without them. Video is the next important step. Keep in mind, that product video viewers are 174% more likely to convert than non-viewers. Product descriptions provide customers with the detailed information, and help them decide if the following item suits their needs. Make sure you don’t just copy and paste manufacturer's canned descriptions. Give your consumers something unique and entertaining. The call to action button should be noticeable in order to attract customers’ attention and increase conversions. More than 50% of nowadays users access websites via their mobile and tablet devices and none of them like to squint at unclear pages to do their shopping, that’s why responsive websites play an important role in boosting eCommerce conversion rates. Upselling, cross-selling and down-selling are able to increase your usual order size. Provide your customers with an opportunity to choose the best product package by showing them related items. In case you see lots of non purchasing activity, offer your customer a product at a low cost. It’s not a secret that lots of online shoppers prefer to buy discounted products and that’s why while shopping, they look for a sale and specials sections. Therefore, you can engage customers by showing them your special section with, for instance, exciting discount offers, coupon codes, free trials, loyalty program, etc. It often happens that customers need a piece of advice and live chat is the key communication method. By providing your consumers with real time support, you will increase the eCommerce conversion rate substantially. 57% of online shoppers read reviews prior to purchasing electronics. Moreover, 40 percent of e-customers say they would not even buy electronics without referring to reviews first. Due to this, information provided via reviews and testimonials has a significant influence on customer experience, and on your conversion rate. Now, take advantage of the ideas above and modify your business in accordance with your customers’ needs, desires and expectations. Good luck!